The months from June to September are a beautiful time of the year for a happy summer wedding. However, there are several things to take into consideration when planning a wedding during the warmer months. The venue, the wedding attire, flowers, the food and the weather itself all play a part and must be planned carefully. You want to be sure that your wedding is sizzling with excitement and fun, not drooping from the heat. Depending on the area where you live, summer days can be extremely hot. The venue chosen should be one that provides comfort for the happy couple as well as the guests. If you live near the water consider having the event at a beachside location or club. It will give you a beautiful back drop as well as provide cool breezes from the water. Early evening weddings are also great during the summer months. 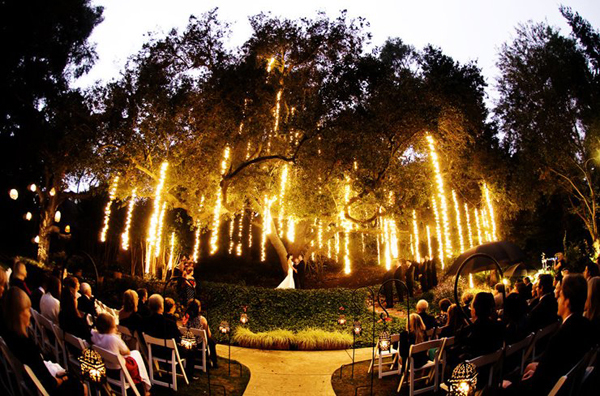 A wedding held in the evening is romantic, allows for cooler weather and may even reduce the cost if it is a place that is usually just booked in the daytime. The majority of brides wear their wedding gowns throughout the reception as well as during the ceremony, which means you will be wearing a gown for several hours. The lighter the gown, the more comfortable you will be. Choose a dress that is elegant and light, with either a sleeveless or spaghetti strap top. The fabrics should also be light and airy such as cottons, organza or chiffons. The wedding party could wear either knee or calf length, sleeveless dresses made from an airy cotton fabric. You also have the option of changing into a lighter, shorter party dress after your ceremony, an idea that is catching on in popularity. Weddings in the summer almost beg for the use of flowers in a variety of shapes, colors and scents. Seasonal flowers could include roses, calla lilies, daisies, hydrangea and dahlias. All of these are hardy summer flowers that will withstand the heat while providing an abundance of color. 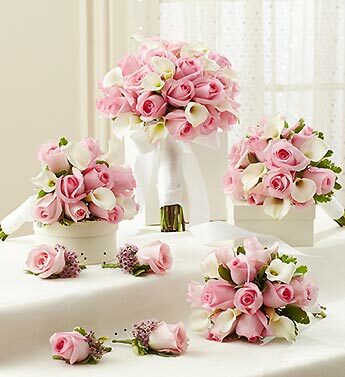 A simple bouquet, choose one single rose or a few calla lilies tied with a colorful ribbon, or opt for a small mixture of several varieties of flowers in the same color and tied with two colors of ribbon. 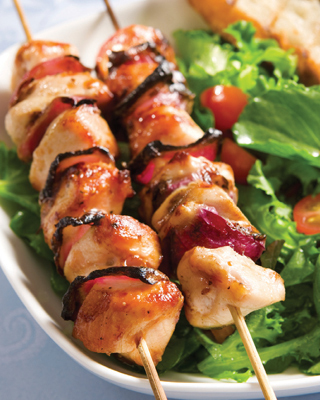 The menu served should be light and include foods associated with summer. 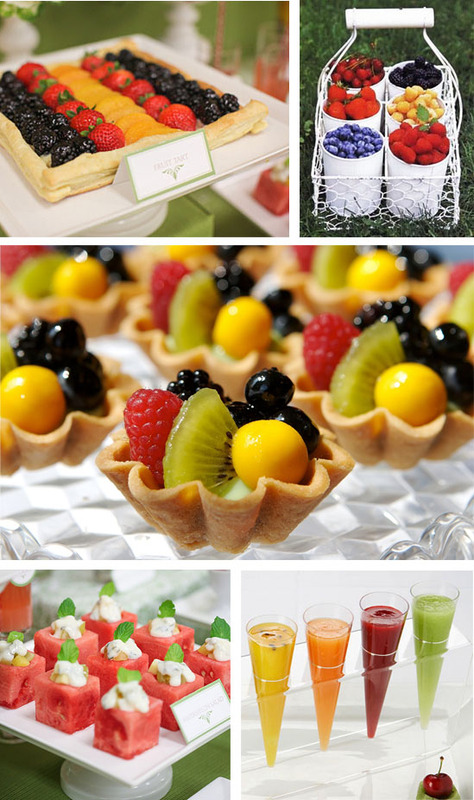 Consider having a picnic with grilled foods, potato salad and lots of chilled fruits. Serving fruits such as watermelon, berries and strawberries will add color to the tables while providing a light and filling meal. 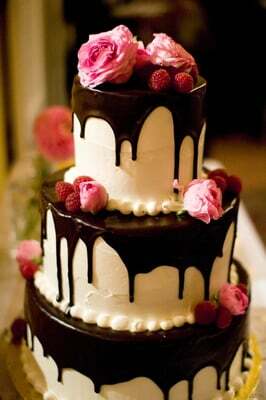 The wedding cake should also be light and fluffy such as an angel food cake with fluffy whipped cream and strawberries or blueberries. For a twist on a dessert station, consider having an ice cream sundae bar with a variety of ice cream flavors and toppings. Top your cake with a beach theme wedding cake topper, such as a starfish or porcelain bride and groom on the beach. Choosing favors for a summer themed wedding is fun as there are so many great options available. Some trendy summer or beach theme favors include coasters, favor boxes, bottle openers or luggage tags.. Items such as the paper fans are great for outdoor weddings as the guests can use them during the reception to help fight the heat. Sunscreen wedding favors can be handed out to help protect your guests from sunburn too. Summer weddings are a blast and it is a great season for a wedding. To make sure that everyone is comfortable and having a great time, make sure you plan ahead for some of the little details that could cause a problem. Consider the heat and provide fans when there is no air conditioning available and if the wedding is being held outdoors. Make sure there is some shade available if the sun is very strong, or at least some umbrellas for protection. Provide the guests with bottles of cold water and sunscreen if the wedding is in an area with strong sun exposure, and have bug spray on hand to rid the area of mosquitoes and prevent the day being ruined by a horde of hungry insects. For outdoor summer weddings in the evening, invest in some bug-zappers or citronella candles to help keep the bugs away.